6 Surprising Benefits of Collagen & How To Take It For Best Results! Home / Favorite Things / 6 Surprising Benefits of Collagen PLUS Why, When & How To Take It For Best Results! Gelatin, which is cooked collagen, is a true superfood! I’ve been singing the praises of collagen and gelatin protein for years. I think it’s one of the best things you can incorporate in your diet. The benefits range from reducing wrinkles, healing your gut, building strong bones, helping joint pain and so much more. “Kelly, thank you so much for introducing me to this! I’ve been using it for 6 weeks in my morning and nighttime tea and I can’t believe the difference in my pain levels. I suffered from terrible back pain. Many days, I couldn’t even get out of bed. I had to get monthly shots just to manage my pain. It’s been a little over a month and my pain levels are down tremendously. I even cancelled my shot this month!” – Diane T.
“Wow. This stuff works! I have rheumatoid arthritis and this has been helping me. I am now very hopeful to get off my pain medication in the future.” – Brenda M.
Tracey swears by it and said it helped her recovery from a knee surgery. “Even my doctor couldn’t believe how quickly I healed from my surgery.” – Tracey L.
Do I Need Collagen Supplementation? As we age, the amount of collagen in our body decreases. By age 25, collagen levels are decreased at a rate of 1.5% a year. By age 40, collagen is depleted faster than it is produced! And by age 60, over half of the body’s collagen has been depleted. And collagen is what holds us together! It’s found in skin, ligaments, cartilage, tendons, muscles, bone tissue, blood vessels, intervertebral discs, gastrointestinal tract, and even in the cornea of the eye. Collagen is one of the few supplements I believe everyone should add to their diet. From more youthful looking skin to reducing inflammation and healing your gut, collagen is a true nutritional powerhouse. Here’s some more surprising benefits of collagen protein. Plus learn how and when to take it for your best results! Collagen soothes and heals the digestive tract and helps repair the mucous lining. It also helps break down the protein and fat from foods, making them easier for the body to digest. To help with digestion, before meals, add 1 scoop of collagen peptides (Find HERE) to your beverage. Doing so will increase protein absorption and hydrochloric acid production. 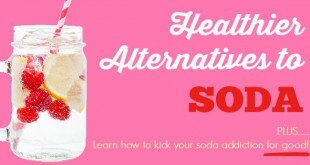 It will also help heal your digestive tract. To maximize skin benefits, drink THIS green tea frappuccino and add in 1-2 scoops of collagen peptides. Drink at least 3-4 times a week. I drink this daily for maximum skin benefits! If you are looking to jumpstart your weight loss efforts, try THIS filling breakfast shake (my favorite!) each morning and add in 2 scoops of collagen peptides. If you are looking to lessen inflammation or build bone density, try THIS delicious turmeric tea and add in 1-2 scoops of collagen peptides. Consume at least 3-4 times a week (ideally, daily) for maximum benefits. 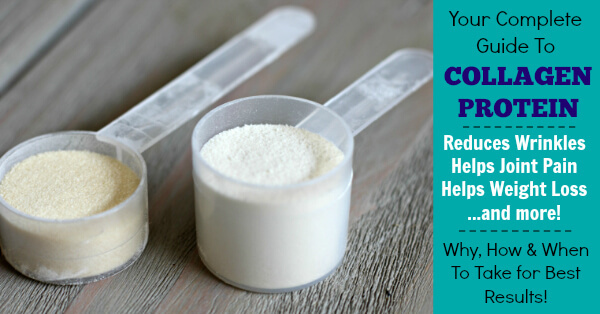 If you’d like to increase your athletic performance and reduce the risk of injury, try THIS protein shake using collagen peptides after a workout! Glycine plays an important role in the neurotransmitters within the brain. Recent research shows that glycine improves sleep quality who have difficulty sleeping. Ingesting collagen improves sleep quality but it also helps reduce daytime sleepiness and helps improve memory during waking hours. If you could use some help getting better sleep, try this bed time sleep tonic: Mix 1 tablespoon collagen peptides with chamomile tea an hour before bed. Chamomile further helps sleep and relaxation, so this bedtime tonic works extremely well! 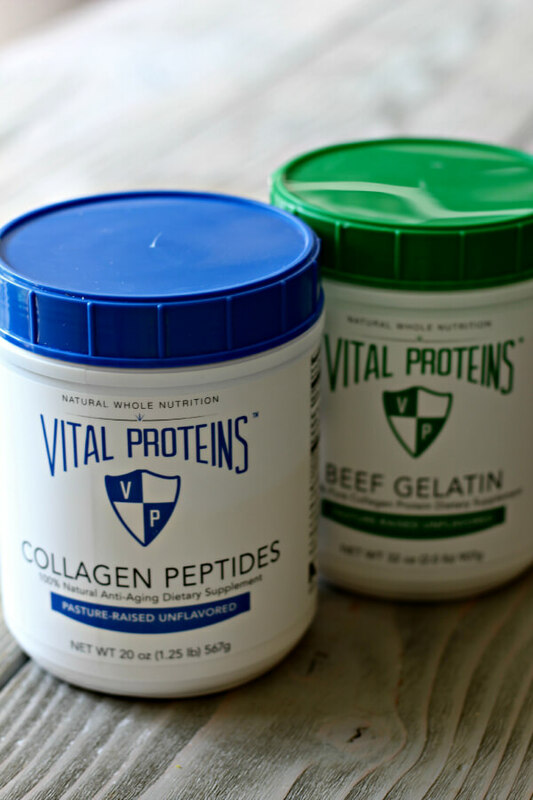 What’s the Difference Between Gelatin and Collagen Peptides? The difference is in the processing. Gelatin is cooked collagen that’s been dried and processed into a powder. It will gel when it’s mixed with water. It’s great for making homemade jello and pudding! It has the green lid. Collagen Peptides are processed so the amino acids are broken down, making it easier to digest. It’s also absorbed faster by the body. Collagen Peptides will not gel and are easily mixed into hot or cold beverages and liquids. It has the blue lid. Both are virtually tasteless and odorless. I personally buy and use both the Collagen Peptides and the Gelatin. I use the gelatin for making my homemade jello and pudding recipes. And then I use the collagen peptides in my daily beverages. I consume 2 tablespoons of collagen peptides per day, which is the recommended dose. One tablespoon in my afternoon green tea frappuccino shake. And one tablespoon in my nightly bed time tea. I love to get in touch with companies that I personally love and use on a daily basis. My husband, Zach was able to speak with the owners of Vital Proteins. We were so impressed at their passion for helping others get healthy and also for their integrity for high quality products. I love people who are as passionate as me about health and helping others live better lives. I am now a big fan of the people behind Vital Proteins! I made the switch from other gelatin products to Vital Proteins for a few more reasons, too. Cattle is single-sourced from 100% grass-fed cows from Brazil. Many other brands source from Argentina where cattle are typically grain finished. Vital Proteins has taken great care to ensure the pasture size for each animal is at least 2.67 acres. Non BPA air-tight canisters prevent moisture and oxygen from entering the canister. Vital Proteins hermetically induction seals each canister, ensuring product integrity, quality and safety. Collagen is very hygroscopic and absorbs moisture. Without this protection, the collagen will start to degrade. Cardboard canisters are permeable and susceptible to moisture and bacteria, which is why I especially appreciate Vital Protein’s air-tight canisters. I personally love the scoop that comes inside each canister! It allows for easy, accurate measuring with no mess. FREE shipping on all orders, with no minimums! I can’t wait for you to try collagen and experience it’s many benefits like I have! My husband is a big fan, too. It’s helped tremendously with his knee and joint pain. Kelly I tried to order the Collagen peptides but the coupon code is not working. It says it’s not valid. Please advise. I would like to get started quickly I am having spinal fusion on the 20th. Thanks for letting me know, Betsy! I am checking into this now…. Just ordered and coupon worked fine! Oh good! Thank you for letting me know, Carla! I just got in touch with Vital Proteins and they said it’s working in their system, but if it’s not working for you then it most likely has something to do with your computer cookies or browser history settings. They suggested to clear your cookies or try a different browser. (I am technically challenged and if you are technically challenged like me, then they said they would gladly honor the coupon and credit you if you email them at info@vitalproteins.com and let them know). I hope that helps, Betsy and I wish you the best with your upcoming fusion! Hi! What is the coupon code? I didn’t see it. Thanks!! Good Luck! I had my fusion in February and feel great. I made gallons of bone broth and froze it, and purchased another brand of hydrolized gelatin…and started drinking it a month before my surgery and continued after surgery. My surgeon is very pleased with my progress…and so am I! I believe collagen truly helped in the recovery process…oh, and make sure you get plenty of magnesium malate too. I did not see in your write up or on the Vital Proteins website if this is a Type I, II or III collagen? Does anyone know of a collagen product to recommend that isn’t sourced from beef? I would like to get all the benefits from collagen but I have a beef sensitivity. Any suggestions would be great! I have a gelatin product sourced from pig but haven’t found collagen. I’m looking into this for you, Ashley. I’d love to hear if anyone knows of anything as well. Great Lakes has a pork (porcine) gelatin available. 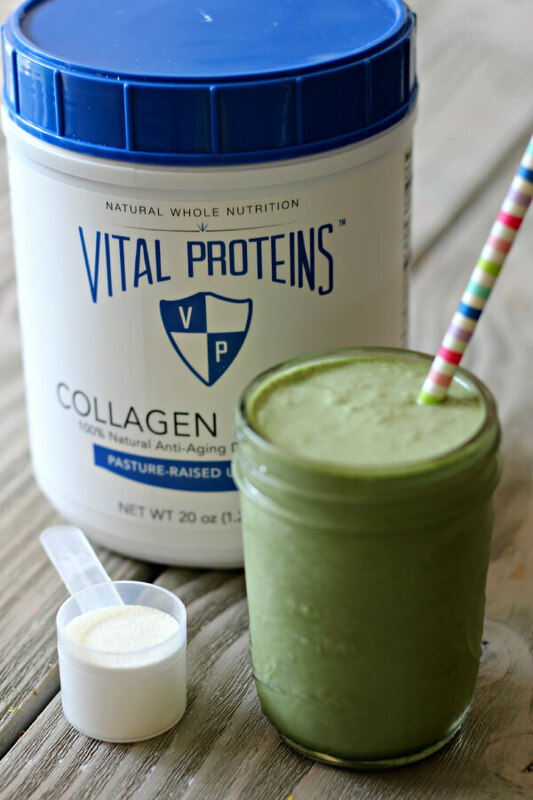 Vital Proteins has a Marine Collagen and it is supposed to be great! Kelly, I too can attest it the amazing benefits of collagen and gelatin. I have been using the other popular brand (Great Lakes) but am going to try your recommendation next. I take it for my hair and skin. Have seen tremendous improvement in both since taking it on a regular basis. Have been doing so for over a year and a half and have no plans to ever stop. I typically blend two tablespoons into my morning coffee, along with turmeric and coconut oil. Sometimes add a little vanilla stevia. P.S. I found some big aloe leaves for my hair!! So glad to hear about the aloe leaves! I am loving the results on my skin! And it feels so great on a hot day, since I keep it in the fridge. I meant to say my skin not hair! I was working on a hair post while I was answering questions and had hair on the brain haha. But you are right – makes the best makeup primer! Loving it! Thank you!! So, I’ve been making/taking bone broth for all these same reasons as these two products. I was just saying that I wish I could just buy bone broth, b/c it’s a real pain to cook a whole chicken for hours in the crock pot to get the bones to give up all the good stuff. These products are my wish, aren’t they? Try making broth overnight in your crockpot on low. Bake chicken for dinner, then put the bones right into the crockpot. I take carrots, celery, and onions that are limp (about to go bad) and freeze them to use in my broth. Your house will smell divine in the morning. You could also look into a pressure cooker. I ordered an Instant Pot from Amazon a few years ago and we use it almost daily. Hi Kelly I used your coupon code to try my first Collagen Protein from Vital Protein today. The coupon code went through just fine (although it took a bit to find where I could put in the code). I will be anxious to try the collagen to see if it will help with a minor knee issue and a big toe/knuckle issue that I’ve been experiencing lately. I’ve been trying to walk an hour a day (I’m 60+). I’ve never had feet issues or health issues before. I’m also anxious to try your Green Tea Frappuccino recipe. Great site BTW! Thank you for all the info. Hi Peg! Keep me posted! It works wonders for inflammatory pain, so I have a feeling you will have some great results to report back 🙂 That green tea frapp is the bomb!! I drink one every day and even got my husband hooked on them! Lately, we’ve been blending in some mint from our garden in it and it’s so refreshing. My mother and I have been using collagen for about a month now and really like it. However one thing we both noticed after using it is that we both feel very thirsty the next day. I was wondering if anyone else has felt this way as well? Just curious?? Interesting, Deanna! I am curious to know if that happens to others, too. I can’t say I notice that, but I’ve been taking collagen daily for years so I don’t think I would notice even if it was the case. I think I would have to stop for a few weeks and then start back up to notice. Very interesting – now you’ve got me really curious about it! Hi Kelly! Man I love your blog! In fact, I have been using Great Lakes Hydrolyzed collagen for over two years now with GREAT benefit! I see that recently you have switched your brand preference to Vital Protein, whereas Im sure this is a great product, it’s simply too expensive for me, even with your awesome promotion, would you still stand by Great lakes, or was there something you found out that dissuaded your use of them? Hey Kendall, thank you for your kind words!! This is a great question. I was totally in the same boat as you. I used Great Lakes for so long and then Vital Proteins came along with 100% transparency about their products, the production of their products and their really strict standards for the animals. I continued to use Great Lakes because it was slightly cheaper and at the time, I still thought Great Lakes was a great product and thought there was no need to switch. Since I take collagen every single day, I thought it was probably important to know for sure that it was made from 100% grass-fed and finished, pasture raised, well treated beef so I started researching the 2 companies to see if in fact, there was a difference. And I was kind of amazed at the difference between the 2 companies after doing just a bit of research. Great Lakes doesn’t disclose much and I was referred to the website facts to answer most of the questions I had. The Great Lakes website states, “Ranchers in Argentina and Brazil have traditionally raised cattle in herds that graze freely on the natural grasslands. Based on visiting the region, it is our observation that this is the case.” “So, you don’t know for sure?? !” was my response. And no, they don’t know for sure – they are just guessing. That didn’t sit well with me. If I’m taking a product every single day, I want to be sure it’s the best quality I can get and it is what I think it is. The other thing that didn’t sit well with me was that when asked exactly what the animals were fed, the answer was “There is no way to be certain of all concepts of feeding of these animals.” 🙁 I didn’t like that answer, either. Vital Proteins is 100% transparent about their product. Their standards are super strict and they go above and beyond to know for certain that these animals are in fact, grass fed and finished, no hormones, antibiotics and treated very well (at least 2.67 acres per cow! that’s so cool!). For me it was a no-brainer after being in contact with both companies. Thank you for the coupon! I’ve been looking fwd to trying this brand. Thanks for all your hard work, I really like how you include not only what you do and why, but also the science to back it up. I have a question about how to take the collagen though, do I have to take it the way you suggest to get that particular benefit? Or will I get all those benefits if I just dissolve it in some water or add it to a green smoothie? Also, I have wanted to try frozen liver pills the way you do them but am squeamish about it. I was browsing Vital Proteins’ website to get the collagen and I noticed they also sell grass fed beef liver pills. What are your thoughts on those? I was told they were coming out with liver pills in the very near future, but wasn’t aware they are finally here! I will order them now!! Thank you for the head’s up – ooh and the coupon is still good, woo! I’m actually really excited about this (probably a bit too excited considering it’s liver lol). I’ll write a blog post about my experience taking them after I give it a month or two. Thank you so much for letting me know! I was wondering if you found found any collegan that was not a beef by product. I don’t eat any red meat. Hi Anne! Great Lakes makes a gelatin that is a pork product, but I haven’t found collagen that is soluble in cold liquid yet. Still looking! 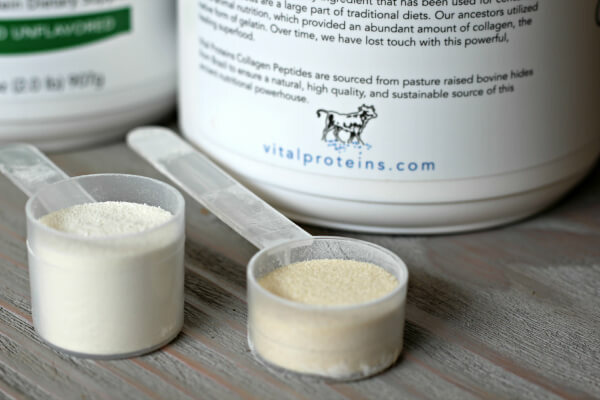 Vital Proteins now has a collagen made from fish. Marine Peptides they call it. Thank you for this information. I am disappointed to hear about Great Lakes’ ignorance to the feeding practices. On another note, do you have any thoughts on the safety and benefits of giving this product to children (7-12 age range)? Hi, just have a question. New to this site, and never heard about benefits of collagen beyond skin. My husband has fibromyalgia and neuropathy in His hands and feet. Do you think this could help relieve his pain? Is there any studies to back this up? Thank you. Here’s the complete unfunded study done in the United States, by Dr Gary B. Olsen and his team (http://collagendiet.com/fibromyalgia.pdf), that demonstrated that collagen can help to decrease fibromyalgia symptoms. This study showed that subsequent to 3 months of consumption, chronic fibromyalgia patients experienced pain reduction, morning stiffness reduction, sleep improvement, chronic headache improvement, dullness feeling improvement, irritable colon syndrome improvement, memory and cognitive state improvement. That above study also showed a 44% improvement rate for neuropathy of fibromyalgia patients after 90 days of supplementing with just 1 tablespoon of collagen before bed! Improvement from tingling and numbing was the highest percentage of improvement followed by a 39% improvement from TMD, muscle and ligaments. Good news for fibromyalgia patients and hopefully for your husband, too, I believe! Hope that helps, Rhonda! Hey Kelly. I just read up on this and ordered the Collagen to give it a try. I have been on my weight loss journey for most of the year and finally have a good grip on a training and eating schedule. A big problem I have is my skin having a bit of cellulitis all over. Another would be my gut. I look forward to seeing the results I have read this gives. Do you know long it usually takes to start seeing results? Hi Chris! 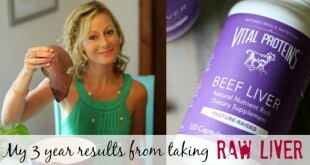 I noticed my positive skin and hair benefits about a month after taking collagen. My husband noticed his joint pain relief much sooner – about a week or two. Another thing you may want to look into is taking a high quality, multi-strain probiotic if you aren’t already. Probiotics are really great for healing the gut, helping digestion, killing off bad bacteria and they also provide skin benefits, too (skin issues and digestion go hand and hand). THIS is the probiotic that I take and always recommend, but there are many other good brands out there, too. Just make sure it’s a multi-strain one. I wish you the best — please keep me posted if you remember – I would love to hear how the collagen is working for you! Oh! One more thing! I hate to bombard you with suggestions when you didn’t even ask so please forgive me if I am overstepping and just tell me to shut up!! But you may find that taking 1 or 2 tablespoons of raw apple cider vinegar daily may be really helpful, too. ACV is really amazing at killing off bad bacteria, helping digestion and great for helping skin issues, too. HERE is my favorite way to take ACV (I hate the taste of it and this is the only way I can get it down – it’s actually very good!) and that blog post goes over all the health benefits of ACV, too. 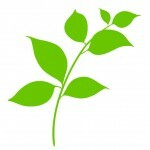 I am new to your site, but I wanted to make sure you knew about THRIVE MARKET. If not, definitely look into it. I am on a very tight budget, and even though I didn’t like paying the membership fee, I have been able to purchase items that I wouldn’t have bought at my local market. One item inparticular, the Great Lakes collagen. I’ve been trying to figure out how to fit it into my diet and finally today I mixed it into my coffee. Thank you for all your information. 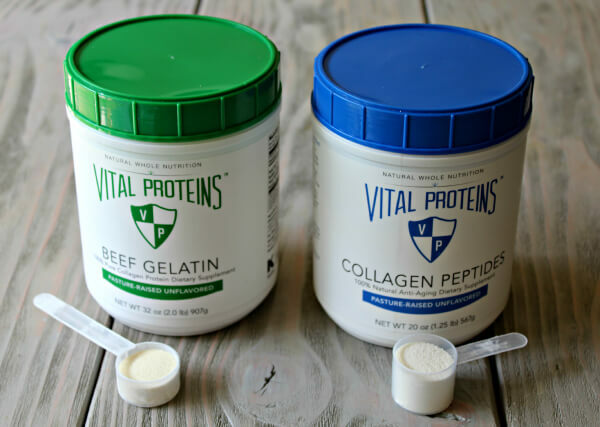 I started using Vital Proteins Collagen & then just recently added on their Gelatin. Today I ordered their Liver Capsules. 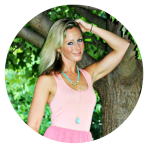 Using the collagen & gelatin I find I have more energy throughout the day, I am less hungry, I’ve seen improvements in interstitial cystitis that I’ve been battling for many years. It’s so amazing!!! So cool, Diane!!! Love hearing that! One more question. I was told for gut healing (which my son & I both need) to start with collagen & when we’re tolerating well to then add gelatin. We’ve done that, but now we’re taking both of them each day & I’m wondering if that’s necessary? I prefer the collagen & my son prefers the gelatin, but do we need to be taking both of them daily for gut healing? I don’t think it’s necessary, Diane! 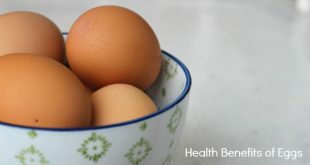 They both provide the same benefits – one (collagen) is just a little easier to digest, like you said, since the molecules have already been broken down. I love everything that you post, you’re great! But now i have a question: since i’m living in Germany( Europe), it’s hard for me to buy this collagen peptides you recommended. The shipping and taxes are faaar too expensive. Do you recommend any collagen peptides that i can buy in Europe and that they have the same quality as this?? Thanks! Hi Barbara! I don’t know of anything off the top of my head, but I have a health conscious friend living in Germany so I’m going to ask her and see if she can recommend anything. I’ll keep you posted! Did you find out anything about purchasing Collagen peptides in Germany? Kelly – I have just recently started taking collagen, but I take it in the morning with my coffee. I see where you recommend it in the evenings. Do you think mornings are ok? I usually add a scoop (1 Tbsp) to my coffee and have a couple of cups each morning. So around 2 Tablespoons a day. I have two questions. Is it safe for a child to consume collagen? My ten year old suffers from auto-immune related skin disorders. I read in one of Dr, Axe’s books that he gave some to a five year old. Two, I am an ovarian cancer survivor, who tries to avoid anything estrogen. Would collagen promote estrogen? I cannot seem to find anything out when I google. Thank you. Children have ample amounts of collagen so I don’t personally think it’s a necessary supplement for children (although it never hurts), but in cases of gut or autoimmune issues, I think it would be helpful. Collagen has anti-estrogenic properties that help offset the effects of excess estrogen in the body, so I think it would be extremely helpful for you (that’s one of the reasons it’s so great for balancing hormones, too!). Hi Kelsey, I’m excited for you to reap the benefits from all the healthy lifestyle choices you’re making! woo! I was able to get an ongoing coupon code from Vital Proteins that never expires!!! Take care! I just started taking collagen and I would like to introduce my mom to using it. She has severe back pain, which she has suffered for years. She is also diabetic. Is it ok to take being diabetic? Hi Lisa! I think it’s always best to check in with her doctor. From what I know, collagen shouldn’t negatively affect her glucose levels (if anything it may possibly even help). So far I’ve only seen positive results from studies done with diabetics supplementing with collagen. I hope this can help her find some relief! I use a collagen sublingual gel and I love it!! It’s all natural and sourced from grass fed cattle within the United States. Quick Question: I’ve been using collagen peptides for almost two months. I’m noticing great skin benefits but also a strange “rubbery-like” mouth feel. Is this normal? Hi Carolyn, interesting! I haven’t heard of that before, but I’d love to hear from any other readers if they’ve experienced that. We’ll try to get to the bottom of it! I just started taking this product two days ago in the mornings and by evening I too have a rubbery feeling around my mouth and weird taste in my saliva. Strange that it shows up later in the day. Anyone have more information on this? Does this powder help in acne recovery and also for women suffering from pcod’s? Waiting for your kind reply. After doing lots of research, I ordered my collagen (Vital Proteins) and matcha green tea today. I am so excited about taking my health and fitness journey to another level. Will report back after a month of use. I’m so excited for you, Kathy! Many blessings and success to you in your health and fitness journey! Will it (collagen) be as effective if you encapsulate it and take the capsules? Yes, I add it in my hot tea and hot coffee, Chris! I am interested in trying Vital Proteins Collagen but wanted to know if it is okay to take the 2 scoops/day while also using a protein powder everyday (nutivia hemp protein powder), or is that too much protein to consume via powder a day? Also, I am wondering if the collagen is safe during pregnancy? The 2 scoops a day plus the hemp protein powder will generally not fall into too much protein category. The exception is if you already consume a high protein diet and aren’t very active then your body wouldn’t need that much extra. If you’re at a healthy weight, you don’t lift weights and you don’t exercise much, then aiming for 0.36 to 0.6 grams per pound of bodyweight (or 0.8 to 1.3 gram per kg) is a reasonable estimate, which is about 46-75 grams of protein per day for the average female. If you lift weights and/or are very active (or are recovering from an injury), your body will generally need upwards of 0.5 to 0.8 + grams of protein per pound of bodyweight to rebuild and nourish the muscles. (I don’t think there is any need for most people to actually track their protein intake unless you like that sort of thing. If you’re a healthy person trying to stay healthy, then simply eating quality protein or a protein supplement with most of your meals along with nutritious plant foods should bring your intake into an optimal range). Hope that helps! I love your posts, you’re great! I used Liquid Collagen Supplement and I am seeing lots of advantages in my skin, hair, joints pain and healthy bones. Thanks for sharing the great article. Awesome!! Thanks for the comment, Ara! Wow, that is awesome to hear, Melissa!! I agree – collagen is one of those things that I think makes a big difference! I wish I would have thought to take a before/after picture, too! I have been usung collagen for a week and stumbled ovet your article great information.